W10-Test1.vhdx was a 130 GB vhdx OS system drive created in Hyper-V, that had only filled 14.585 GB of the dynamically expanding space – but when it was converted to .vhd format (see PowerShell script below) the full size of the virtual drive became a 133.169 GB vhd that would need to be uploaded to Azure. W2016-TestvhdSize.vhdx was a 30GB vhdx OS drive created in Hyper-V that ‘grew’ to 31.457 GB when it was converted to ‘vhd format. This will upload MUCH faster to Azure – and can then have more disk space allocated to it once it is hosted in Azure. 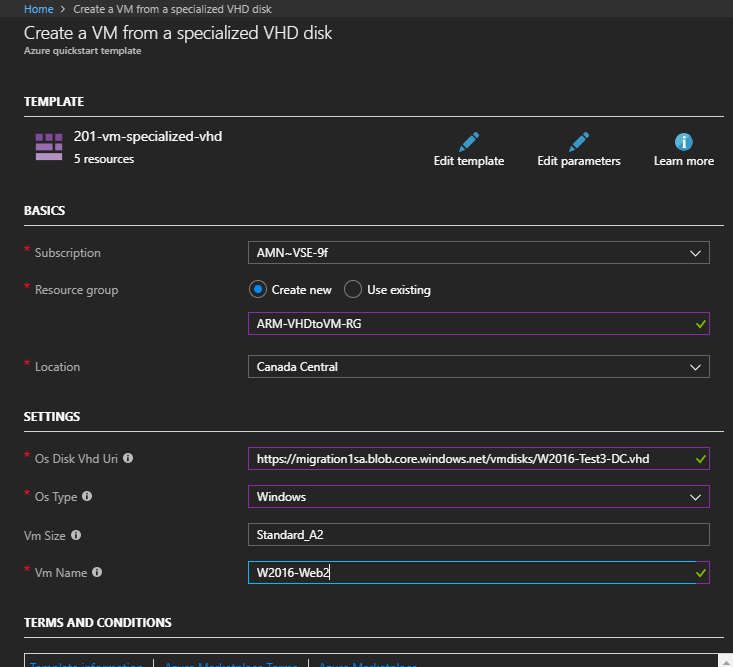 The converted vhd needs to be prepared (‘specialized’ only so the sys prep operation is NOT used as in generalized disks) to be able to work correctly on Azure. 7. 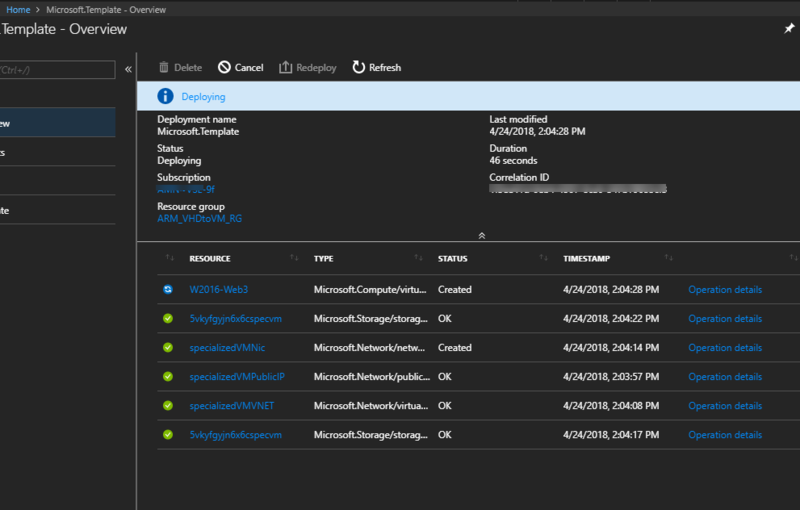 Complete the recommended configurations NOTE: For the Proof of Concept (POC), we did NOT install the Azure VMs Agent and were able to connect via RDP to the new Azure VM created from the Hyper-V VHD. We kept getting an error in Azure saying that the Azure agents couldn’t be found or were not activated. The system name for the new Azure VM retains the same internal name as the original VM on Hyper-V, and all of the user accounts, applications, and data – now running without any needed fine tuning or tweaking, in Azure. Here is the link to an ARM template posted in the Azure Quickstart Templates by Kay Singh that does Steps 8-10 for us – in less than 2 minutes! You still need to prep the Hyper-V specialized disk…but this ARM template can be used to create a VM from ANY uploaded, unattached specialized VHD!